Up until World War II, Israel J. Olman had been a celebrated choral conductor and composer. He wrote synagogal music and also music for socialist choirs, to be performed at major singing competitions. His fame, in addition to the fact that he was married to a Catholic woman, offered him some protection during the war. In the post-war years his reputation as a composer diminished rapidly, creating financial difficulties. The world had changed and his musical idiom had become outdated. It must have been memorable evening, on October 5, 1924 in the Amsterdam Concertgebouw, when composer, conductor and music teacher Israel Olman was honored by the Union of Workers' Choral Societies on his 25th anniversary as a music professional. His works were performed by five choirs, and together, under the composer's direction, they premiered his new work Sullima. The program book outlined the significance of Olman's musicianship. In past 25 years he had matured as a composer, especially affecting those who loved and promoted singing with a good melody close to their heart. 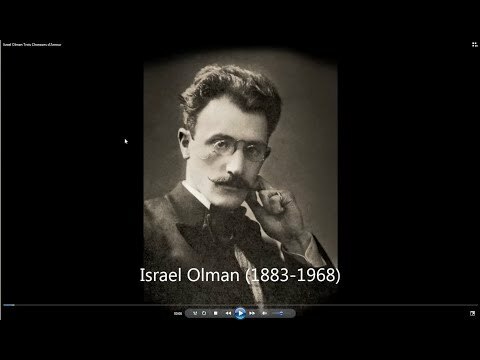 Ies Olman was a talented child. At six, he started violin lessons, and at twelve he enrolled at the music school. His father was in favor of a wide ranging musical as well as a solid general education. At the music school he studied violin and piano. His teachers were Bernard Zweers for music theory, and the renowned choirmaster Fred. Roeske for composition and choral singing. At the same time he had piano lessons with Evert Cornelis. At the turn of the century he played as a violinist in the Dutch Opera orchestra, but the company went bankrupt. In 1899, just sixteen years old, Ies conducted his first choir: the male double quartet Molto Crescendo. A few years later he was already conductor of six choirs and had published his work Zomermorgen by Alsbach & Co.; the first of many compositions. Choral music was popular at that time, triggering expansion of choral societies, at first especially male choirs and so-called “liedertafels”, and after 1870, also mixed, and trade union choirs. The Ashkenazi Jews in Amsterdam - especially the opera and operetta-loving diamond workers – established choirs as well. And all those choristers met at popular festivals and singing competitions. It was impossible to make a living only from conducting and composing. For that reason Olman started, in 1905, teaching violin, piano and composition in the Amsterdam neighborhood Watergraafsmeer. He married Marianne Bonn, who also came from a diamond worker family. They had two children, a daughter and a son. Olman was also appointed in that year as artistic director of the Religious Singing Society Santo Serviҫo (founded in 1886 as Santo Servicio), a male choir of the Portuguese-Jewish Congregation in Amsterdam with more than one hundred members (boys and men). Because Olman was neither a “Portuguese” nor an “orthodox” Jew, the synagogue was forbidden territory. During worship and Jewish celebrations a “Portuguese” conductor took over. Olman was also expected to compose synagogical music. He was destined to be a worthy successor to cantor Isaac Heymann, who had left a large oeuvre in the tradition of famous German composer Louis Lewandovski. Olman didn’t disappoint them; his music fit in perfectly and he proved to be very prolific in those years. At the end of December 1910, the Utrechtsch Stedelijk Orchest premiered his First Symphony with Wouter Hutschenruyter conducting. In the Amsterdam Rembrandt Theatre, on New Year's Eve 1911, he conducted his first one-act opera, Rina, on a libretto by Joseph Cohen, soon followed by the ballad Hannibal. The reviews were so enthusiastic that he embarked on a much larger project: an opera in three acts about the Norse king, Fjalar, with a libretto by Thijs van Zanten. Reviews following the premiere in November 1912 were not altogether favorable and for a reprise the following year, there was little public interest. World War I broke out in August of 1914. The Netherlands held a neutral position, but had to deal with a flow of Belgian refugees. To support these displaced people, the Association of the Amsterdam Choral Societies (BAZ) organized in early October a grand open air concert in a stadium with conductors Roeske and Olman. And in December, Olman conducted a charity concert at the Concertgebouw with Santo Serviҫo which made jubilant headlines: “Homage to Olman and his choir.” Olman was not only a skilled musician, he was an excellent conductor as well. Nevertheless he gradually ended the management of his choirs, including Santo Serviҫo. He wanted to focus on composing and also founded a modern music school. In 1919, he met Antoon Krelage, secretary of the BAZ, and an active member of the Amsterdam choir Stem des Volks (Voice of the people). Krelage encouraged Olman to write music for the workers' choral societies, appointed him as a jury member for the singing competitions and commissioned him to compose the “compulsory pieces.” Within a short time Olman produced dozens of works for these workers choirs. 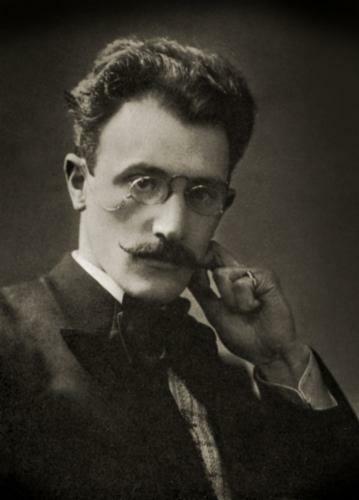 At the time of the grand celebration on his 25th anniversary as a musician in 1924, Olman was in a good financial position and regarded as one of the most prolific and respected composers of choral music. Hundreds of choristers performed an aubade at his home and adjoining music school in Watergraafsmeer. In the following months enthusiastic celebrations were organized all over the country. “Why all this fervor?” some critics wondered. Was it the spontaneous warmth of his melodic music, its simplicity and clarity, its universal quality that appealed to everyone? Two years later composing shifted to the background. Olman started working at Buma, the Dutch institution for music copyrights. With the arrival of radio and cinema he may have feared that the end of his profession as a music teacher was near. It was a full-time job and he was only allowed free time to teach on Saturday mornings. However, he completed Arbeids-Verrijzenis (Labour-Resurrection in 1928, a “symbolic work for soprano, baritone, mixed-choir, male choir and orchestra,” performed twice for the Handwerkers Vriendenkring, a representative organization for Jewish artisans. The Deutscher Arbeiter-Sängerbund purchased this composition for Germany and it premiered in June 1928, as Arbeits-Auferstehung (in German translation) to an enthousiastic audience. The critics however wrote that the composer seemed to struggle with too much complex material. In that period he completed one last major composition: the full-length socialist oratorio Symphonie voor den Arbeid (Symphony for Labor), for soprano, tenor, bass, choir and orchestra on a dramatic text by C. de Dood. It was commissioned by the BAZ, performed several times starting in 1932, and broadcasted by VARA Radio. But at a certain point in time the Dutch government stated that the text was too "revolutionary.” Radio broadcasts were banned and the work ended up on the shelf. The Buma years were tough. Problems at work and in his personal life led to setbacks. In 1934, driving in a company car in The Hague, he ran into a tree. A tragic accident in which his father lost his life and Olman himself was severely injured. Three years later, his wife, suffering from a serious heart condition, died. After her death, he changed residence. He made acquaintance with a young French woman while on vacation in Vichy and they got married in December 1938. Her Catholic faith wasn't an objection, on the contrary, in 1951 Olman became a member of the Catholic Church. From 1940 onwards, many things changed. The Olmans moved to The Hague, and just before the outbreak of the war, he lost his job at the BUMA. The first two years of the war went by, in his own words, “reasonably calm,” but in August 1942, his son was summoned to transit camp Westerbork and in September, Olman, himself was summoned to a labor camp in Overijssel. Less than a week later, the camp was shut down and all captives were transported to Westerbork. Due to his mixed marriage, he escaped deportation to the east. In February 1943, his wife managed to get him on the list “Frederiks-Van Dam” so he was, as a Verdienstjude, for the time being safeguarded from deportation. In February, he was allowed to leave Westerbork for the castle (camp) de Schaffelaar in Barneveld; a month later he, as the spouse of an Aryan woman, was even permitted to go home for five days. Olman was able to resume his musical activities in Barneveld, composing and organizing entertainment for the prisoners, some of whom were musicians. That spring it appeared that his wife was pregnant. On September 29, quite unexpectedly, all the residents of de Schaffelaar were transported to Westerbork. He now hoped to return home quickly, but the Westerbork camp was closed off for months because of a meningitis epidemic. In December, he learned that his wife gave birth to a healthy son. Finally on March 8, 1944, he was allowed to return to The Hague, on the condition that he would undergo a "voluntary" sterilization. He agreed, and from that moment on, he no longer had to wear a star. The postwar years were difficult, especially financially. His plan to emigrate to South Africa was not realized; interest in his choral work had diminished which meant a decline in copyrights. One bright moment was his 50th jubilee celebration in December 1949 in The Hague and in Amsterdam organized by Antoon Krelage. Colleagues like Nico van der Linden rediscovered his music. Five years later, his 70th birthday was also celebrated extensively, but his financial situation had sunk to an absolute low point. He received support from various organizations, but in fact this didn't deliver a satisfactory solution. Desperately Olman turned to Prime Minister Willem Drees, who was compassionate but could little do for him. Things seemed to improve in the second half of the 1950's. On his 75th birthday in 1958, the press praised him for his merits. In the last ten years of his life, he worked steadily, even though his works were no longer published. He died on May 8, 1968, aware that he had become out of date and was no longer a part of the contemporary music scene. Olman left an extensive oeuvre, largely consisting of choral compositions, but including more prestigious works as well. In his choral works he expressed himself to the fullest and for more than forty years, he was most successful. Perhaps this focus on mainly Jewish and socialist choral music has been an important reason - with the almost complete elimination of Jewish life in the Netherlands and the demise of the union choirs - for Olman's music to lose its audience.